Herefordshire Heartstart are delighted to announce an amazing donation of £1500 from the Inner Wheel Club of Hereford Wye Valley. Our charity coordinator met with their outgoing president, Maggie, to receive the donation on a beautiful afternoon in the city. 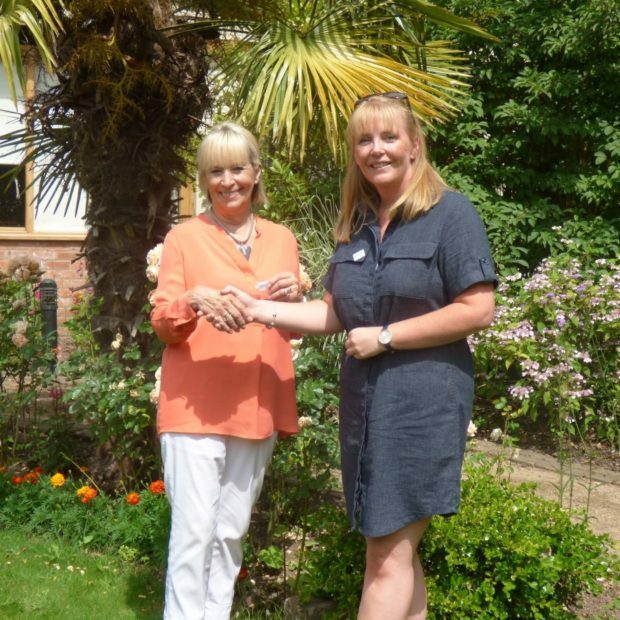 Maggie was determined to support a local charity and was aware of the work of Herefordshire Heartstart. Herefordshire Heartstart is a local charity that teaches basic life support skills for use in an emergency. Bystander CPR is known to save lives in the community and by attending one of our free two hour courses you too can learn these skills. Donations such as these allow us to continue funding our work across Herefordshire. Heartstart is an initiative of the British Heart Foundation. We are not funded by them and rely on donations and grants to run our life-saving courses. If you would like to find out more about our courses, becoming a volunteer or supporting us through fundraising, grants or donations or please do get in touch at info@herefordshireheartstart.co.uk.